The function of this pot is uncertain. There is no obvious sign of it having had a lid, perhaps it is part of a toilet service. The small squat baluster form is finely turned with ribs at the foot and neck. 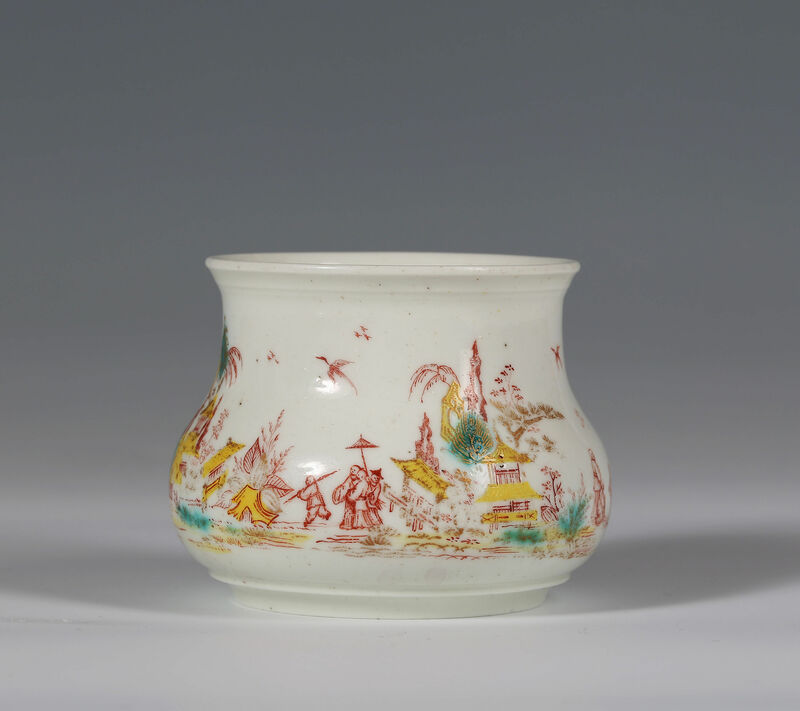 It is decorated with grand feu green enamel and in a subsequent firing, in iron red and gold in a Chinese landscape. The yellow appears to be a petit feu enamel but could also be in part grand feu. 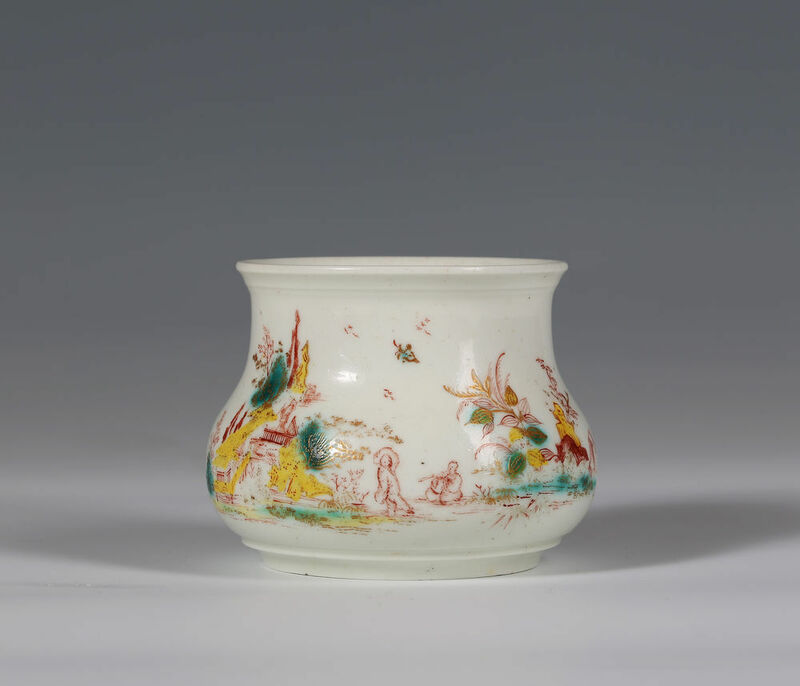 A pot à crème in the Musée des Arts Décoratif (MAD inv. 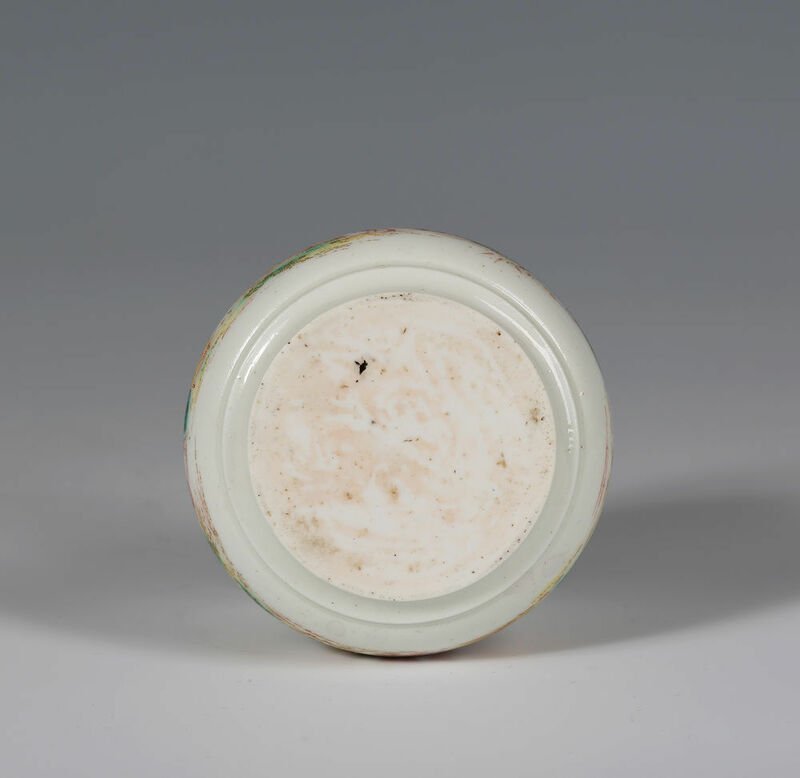 8848) decorated in a similar fashion with identical use of gilding around the flowing green is, unusually for a polychrome piece, marked with an incised StCT. 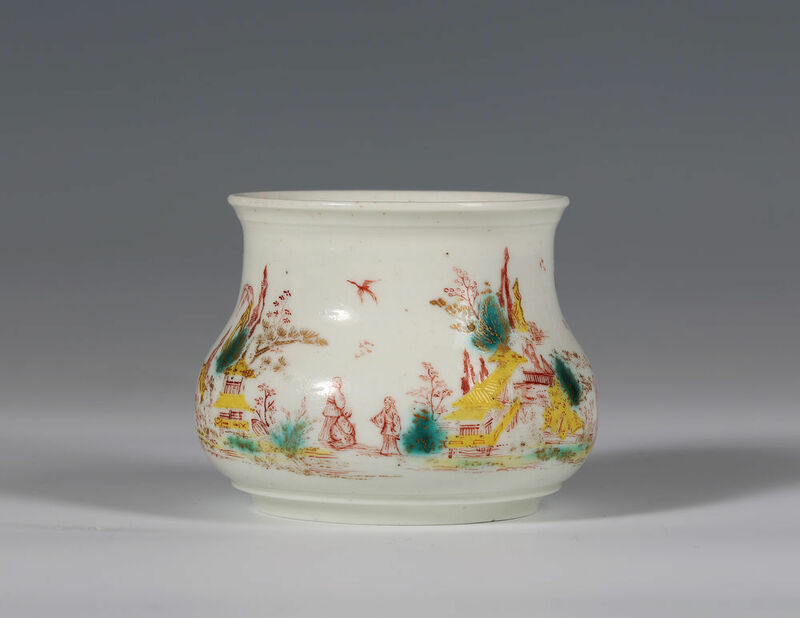 Literature – Christine Lahaussois, Porcelaines de Saint-Cloud, La Collection du Musée des Arts Décoratif, Cat No.170, colour plate p133.